This wedding invitation suite combines different materials and print methods to create a beautifully, unique wedding set. 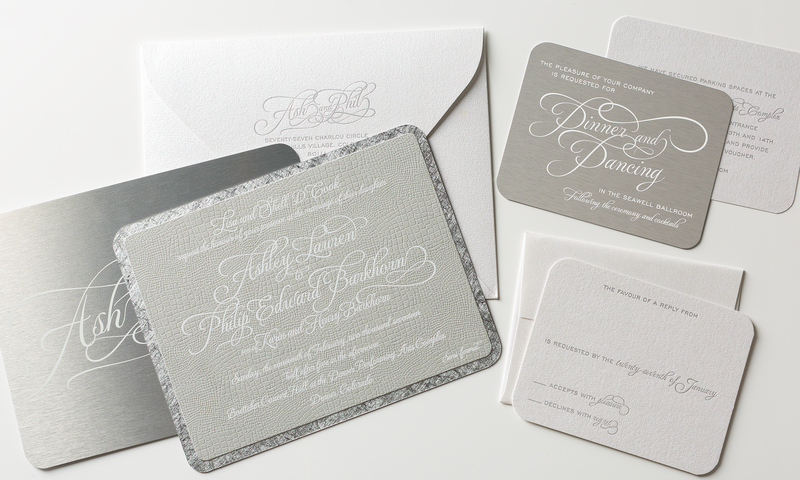 The metal invitation and details card have been affixed with different textured paper creating a one-of-a-kind look. 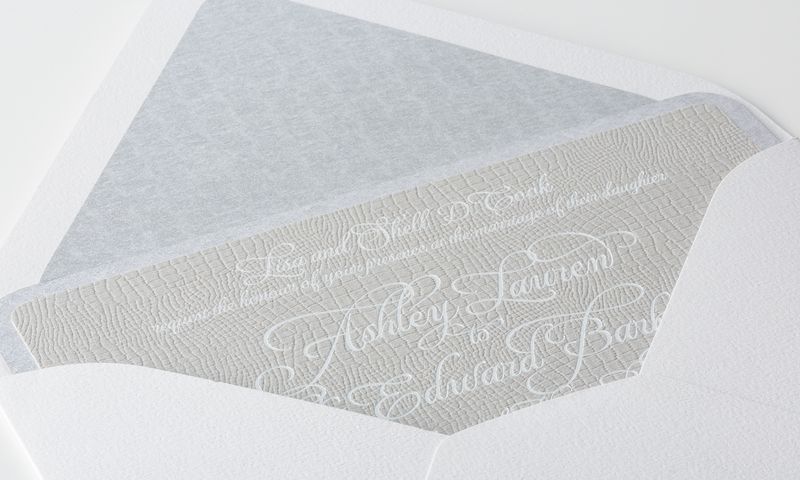 Foil stamped paper and envelopes complete the elegant modern design.